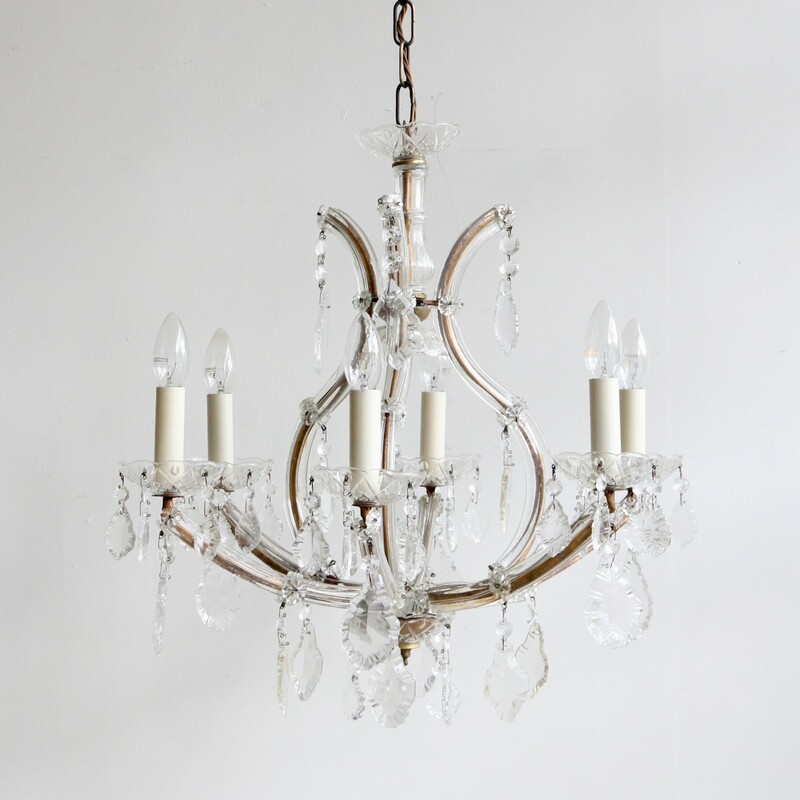 A six arm glass Marie Thérèse chandelier with dressed in a mix of french flat leaf glass drops. The polished brass frame of the chandelier is encased in individual glass panels and then glass rosettes. The centre glass pieces and bobeche pans are faceted which help reflect the light from the chandelier. The chandelier has six SES lamp holders. It is supplied with braided flex, chain, a ceiling rose and a chandelier hook plate.